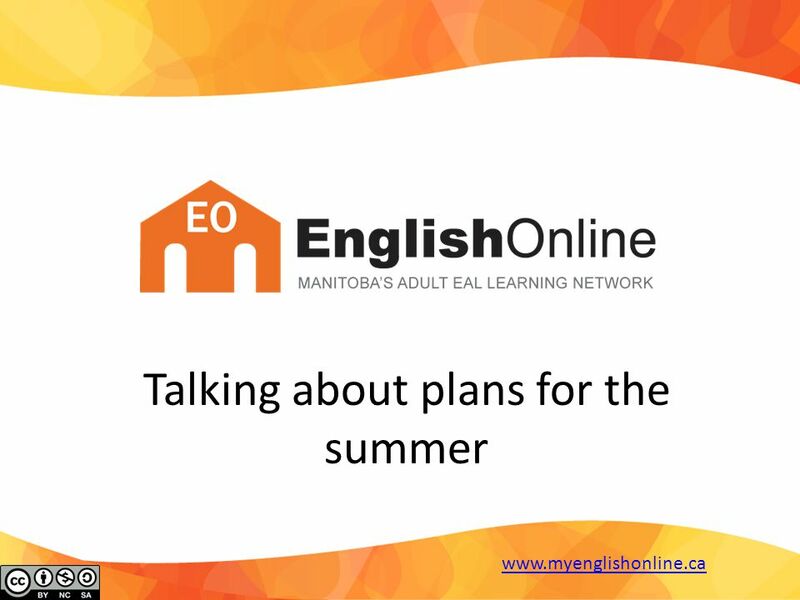 Talking about plans for the summer www.myenglishonline.ca. 3 Got it? www.myenglishonline.ca NataliaI am going to rent a cottage. I will try to get as much sun as I can. 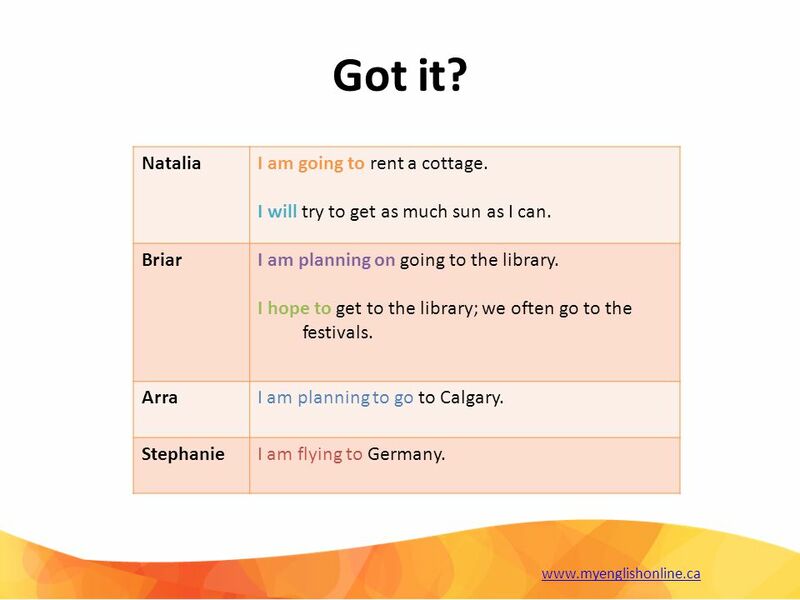 BriarI am planning on going to the library. I hope to get to the library; we often go to the festivals. ArraI am planning to go to Calgary. StephanieI am flying to Germany. 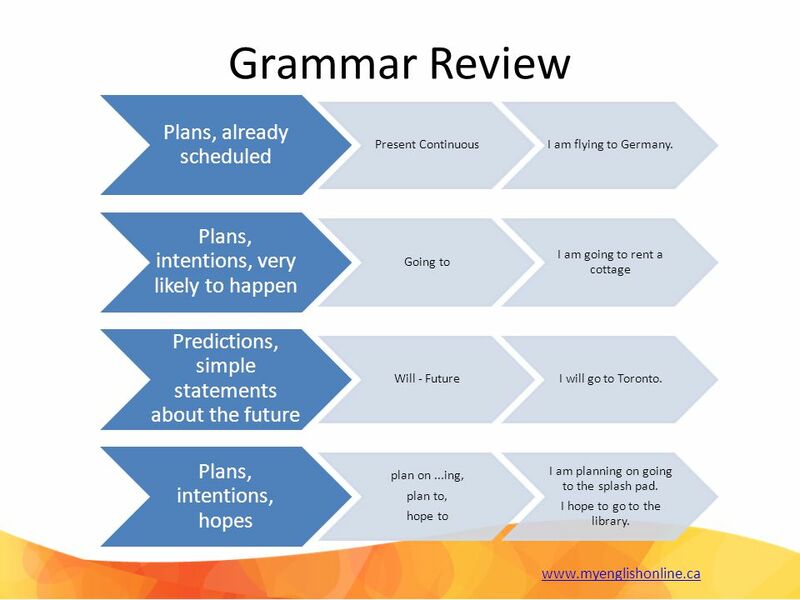 4 Grammar Review www.myenglishonline.ca Plans, already scheduled Present ContinuousI am flying to Germany. 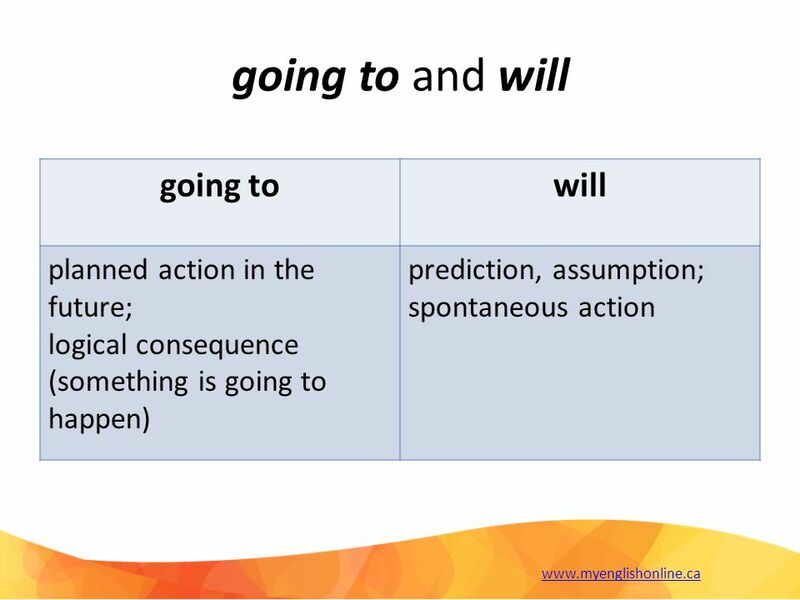 Plans, intentions, very likely to happen Going to I am going to rent a cottage Predictions, simple statements about the future Will - FutureI will go to Toronto. 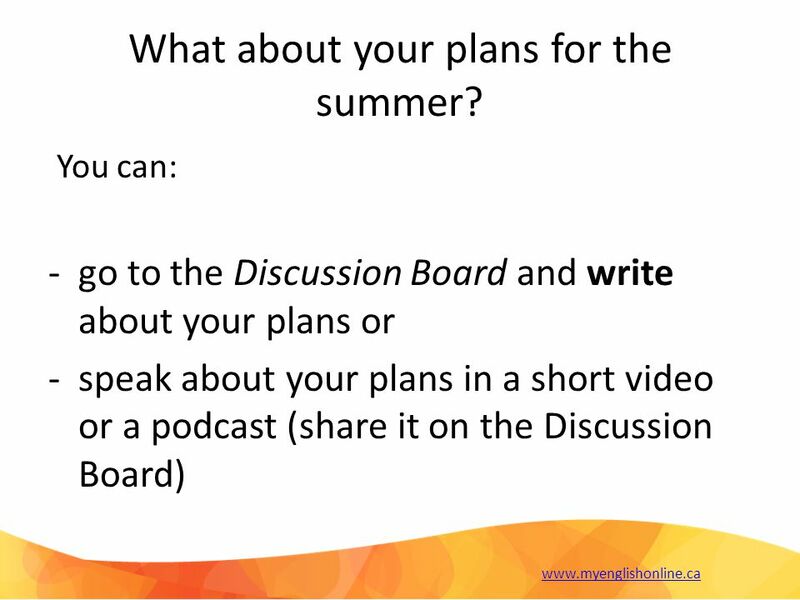 Plans, intentions, hopes plan on...ing, plan to, hope to I am planning on going to the splash pad. I hope to go to the library. 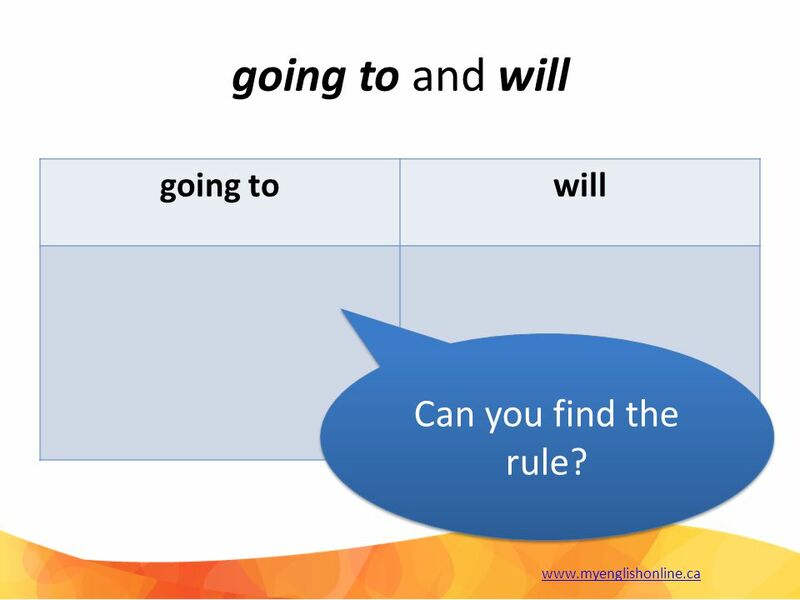 5 going to and will going towill www.myenglishonline.ca Can you find the rule? 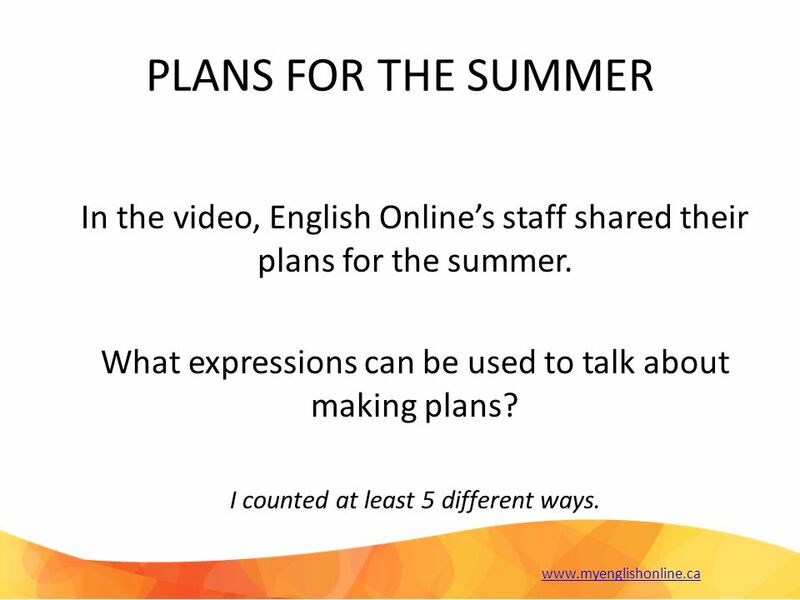 Download ppt "Talking about plans for the summer www.myenglishonline.ca." 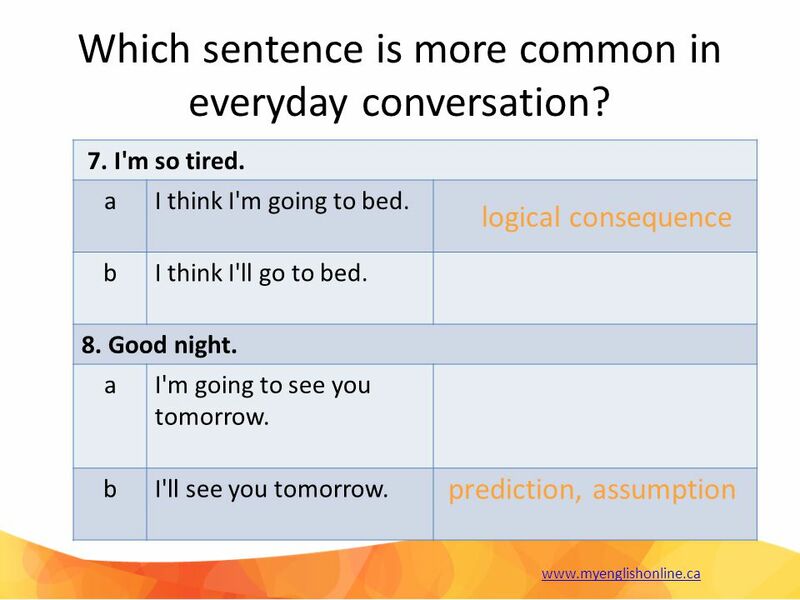 Grammar Review 4. Reported Speech. 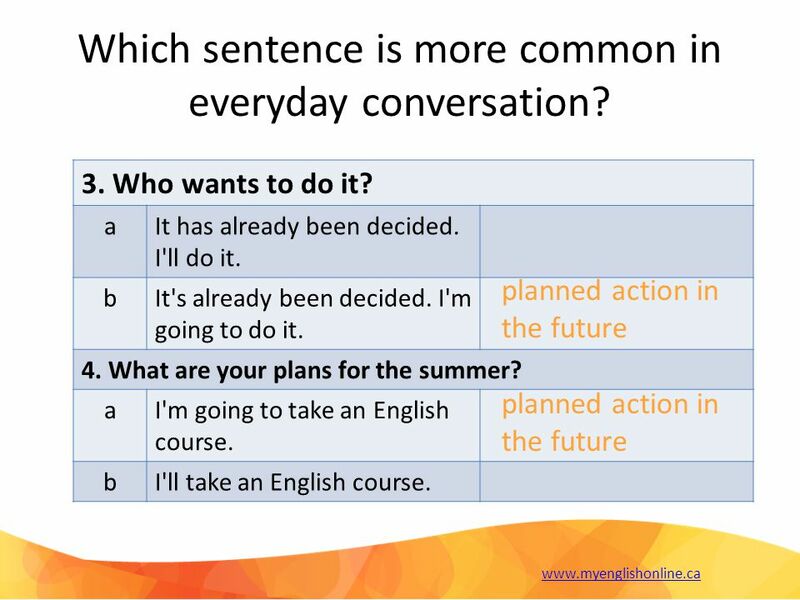 Present Continuous Present Simple S.Montanari. 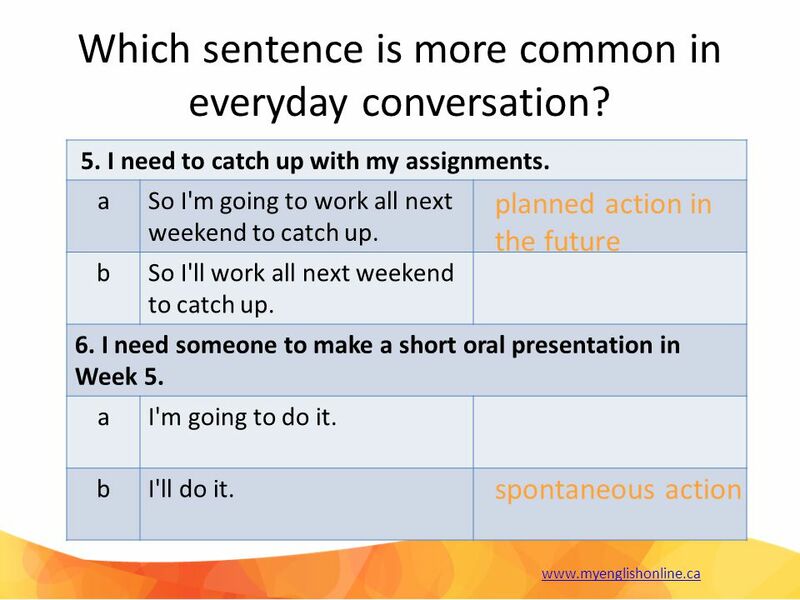 Present Continuous Positive sentence: Positive sentence: subject + be + verb –ing e.g. He is studying Russian. What is it? How do you use it? Structure and Uses. TO EXPRESS PREDICTION WITHOUT EVIDENCE: The Headmaster won’t let you leave at this time. GUESSING: Fortune teller: “You will win a. 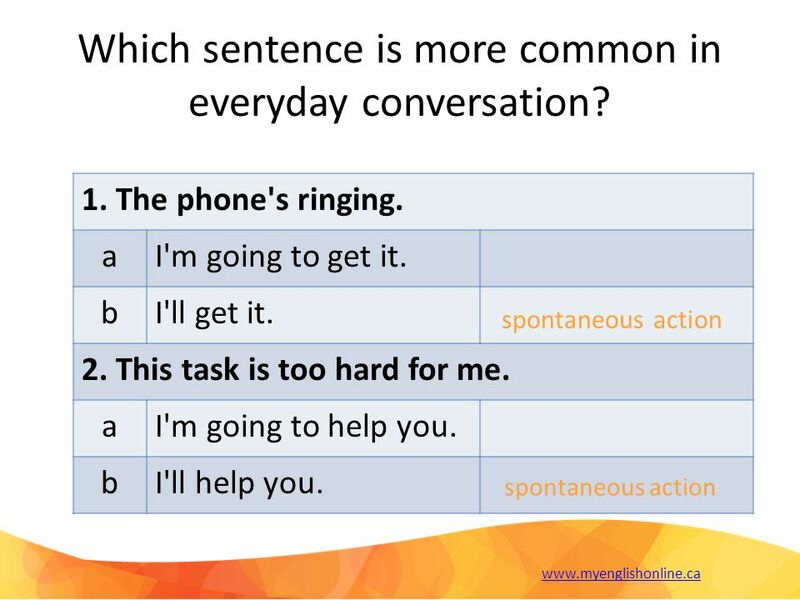 1 Pertemuan 8 Telling a Story (Describing what is happening) Matakuliah: Writing 1 Tahun: Versi: 6.  English doesn’t have future tenses in a way it has present or past tenses  it uses different forms to express future  the choice of the future form.